Stock images detailed vector illustrations - Cartoon People Collection - Office Christmas Party Isometric by Aurielaki in EPS AI JPG. Office christmas party, isometric people cartoon business people with santa hat. This is a detailed vector illustration. SKU: Office-Christmas-Party-Isometric-People-Cartoon-AurielAki. Category: Christmas Clipart. 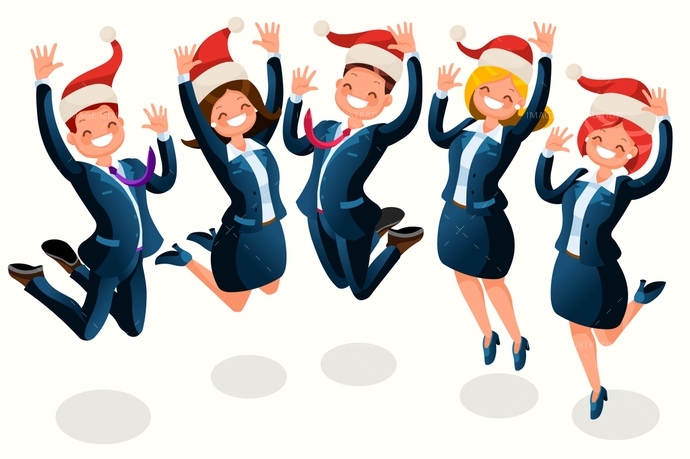 Tags: 3d, abstract, advertise, advertisement, attire, boss, boy, business, businessman, businesswoman, cartoon, celebration, character, cheerful, christmas, Clip Art, clipart, concept, constructor, cute, design, eve, flat, friend, girl, graphic, happiness, hat, holiday, icon, isolated, isometric people, joy, jump, jumping, man, new year, office, party, person, santa, smile, smiling, template, trendy, vacation, vector, winter, woman, xmas.